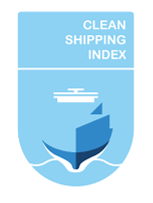 The Clean Shipping Index (Index) is a tool used by cargo owners to assess the environmental performance of shipping. The Index covers most significant environmental impacts and is calculated by the shipping company entering data for each of their ships into a web-based database. The database presents the score achieved for the ships in the shipping company fleet and gives a ranking to other vessels, but also to other shipping companies. The Swedish Maritime Administration (SMA) published an informative document on the differentiated fairway dues in Swedish waters, starting 1st of January 2018. This system rewards environmentally high performing vessels with lower fairway dues, according to their CSI class. Additional information on SMA’s website is available via this link. Verifavia is the first Independent Verifier to Provide Clean Shipping Index (CSI) Verification. If your ships report to the Clean Shipping Index (CSI), we can independently verify your submission to the CSI against the requirements of the CSI requirements (Methodology and Reporting Guidelines and Verification Guidelines) and the ISO 14065 standard. The verification of CSI data and information by an independent third-party is a mandatory requirement of the CSI to guarantee the quality of the data reported.